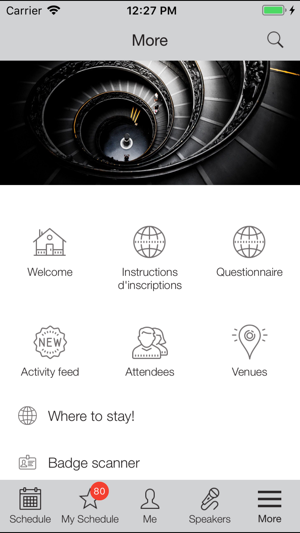 A companion app for attendees/members of conferences, conventions, and events that use the Grenadine Event Planning System. 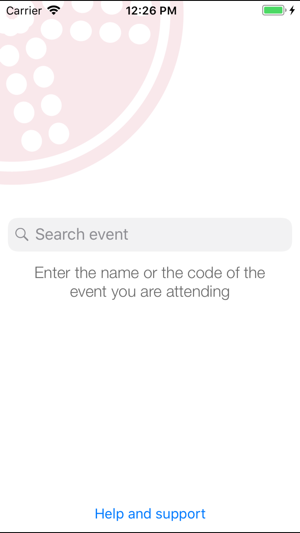 Enter your conference code and use the app during your event. - Browse up-to-date schedules, including descriptions, pictures, speakers and participants, sponsors, exhibitors and other information. - Works in offline mode. Don’t have data coverage in a foreign country while attending an event? No problem, download the app and event data ahead of time and you’re good to go. - Speakers and participants. 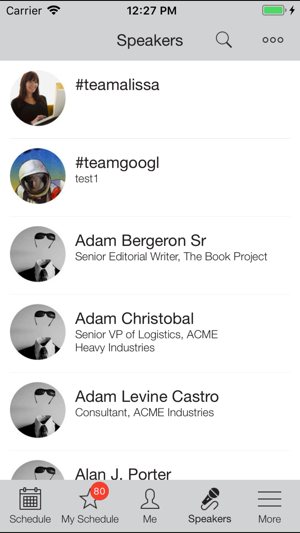 Browse and search speakers, including names, pictures, titles and bios. 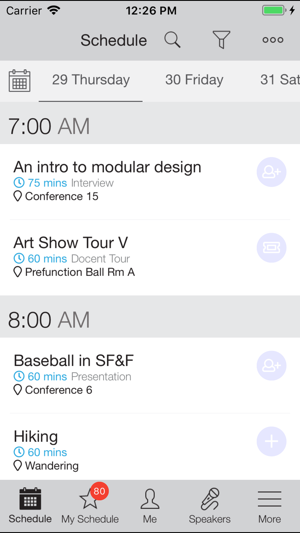 - Build your own schedule. 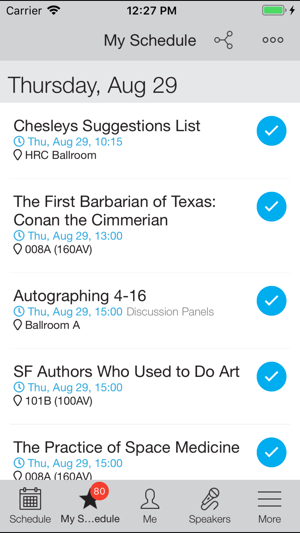 Search for items of interest to you and add them to your own personal event schedule. - Sign up for limited-attendance items. - Get the latest updates to items, speakers and schedules during the event (requires either data or wifi connection for updates). - Important event information, contacts and resources about your event. © 2019 Grenadine Technologies Inc.